Fast ink has become known for award winning embroidered garments. Many organizations trust Fast ink for their corporate casual wear as well as embroidered promotional items. Fast ink's award winning embroidery pros scrutinize the details of each garment until they know you will be completely satisfied. To get started with embroidery, check out the "Where do I start" tab or just give us a call. For garment options, you can browse our on-line catalog or ask us to send you a real one. "In business, we deal with crucial deadlines all the time. 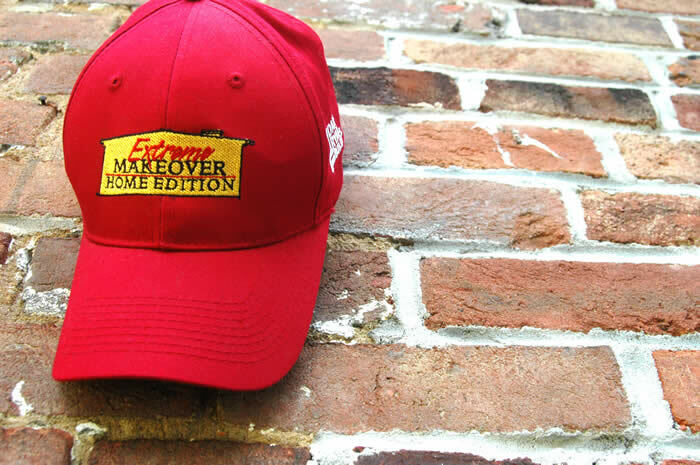 When our client (Dan Ryan Builders) built a house in a week for ABC’s Extreme Makeover: Home Edition, we needed 700 hats at the site in 5 days to promote this feat. The pros at Fast ink delivered the hats a day early and everyone loved them!"